I wasn't quite sure what to expect from this film - but I found it to be thoroughly enchanting. 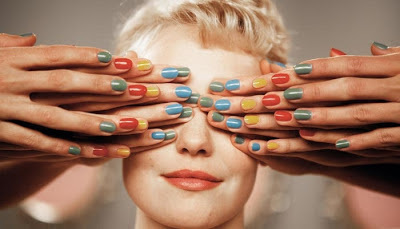 An out-and-out rom-com, Populaire brings a refreshing burst of colour and vivacity which combine to deliver a film that has a predictable trajectory, but nevertheless is thoroughly enjoyable. The way the film was designed (set in 1958), the use of costumes and music and centring the story on speed typing competitions all combine to deliver a good old dose of nostalgia. Add to that strong performances from the leading actors and we have another helping of French cinema at its best. It would be fair to say that some parts of the story get a bit lumpy and maybe too syrupy and so make for an uneven pace but all of that for me was easily forgotten in the wake of Déborah François' performace as Rose Pamphyl - she simply steals the show with a performance that evokes the Elvin charm of Audrey Hepburn and the witty comedy of Doris Day - both at their peak when the film was set. The story is the familiar little girl from the sticks gets propelled onto a world stage whilst the one doing the propelling is unable to allow himself to fall in love while everyone around can see it's what's meant to be. Rose escapes the drudgery of life in her domineering widower father's village store and her impending marriage to the son of the local mechanic to take up a post as secretary to an Insurance Agent in the local town of Lisieux. Rose is far from ideal for the job - she is clumsy, inexperienced and has no formal qualifications for the post - but she can type very quickly - with just two fingers. The Insurance Agent Louis Échard is played by Romain Duris who delivers a surly yet vulnerable dapper man-about-town performance. As with all of us, Louis has a past which is some ways is similar to Rose's - a domineering father and founder of the family Insurance business now run by Louis.. Whereas Rose's father never lifted his eyes above the horizon and expected the same from his daughter, Louis' father demanded success and victory - being number one is the only thing that matters. In his earlier years Louis had been a champion athlete excelling at many sports - he knew what it was to be driven by the need to win. So both characters are trying to escape the baggage of their upbringing - but Loius has more baggage than most. During the war, he was leader of a local resistance group and because of one incident with the group his psyche is wounded and he is unable to commit. So Loius hires Rose with the express intention of training her to become a champion typist. She begins in regional Normandie contest, works her way up to win the national contest and then goes for a world type-off in new York. As the story unfolds, Loius is constantly drawn to his first love Marie (Bérénice Bejo [The Artist]) the wife of his best friend and the woman he cannot have. Meanwhile Rose is always right in front of him and she is the very woman he will not allow himself to have. The tension of this love-triangle maintains the 'will he, won't he' tension very well for nearly all of the story. In the end this is a simple tale with fine acting and a strong evocation of 1950's Hollywood movies and French chic (one scene is lifted directly from Vertigo). The warmth that Rose radiates touches all that she encounters, but her journey is not straightforward as she battles to establish her own identity on a pathway that she will choose - nouvelle femme! Louis generates from viewers a feeling of sympathy which made me want to shake him by the shoulders to bring him to his senses on more than one occasion. As you may have gathered I rather liked this film and simply loved François' Rose. This is a heart-warming film that does far more good than ill. For those who have eyes to see and ears to hear, it offers an opportunity to reflect on our own sense of self and how our baggage contributes to the making of the relationships that we are in. It's also a simple love story and we all need to reconnect with those! Do go and see it. I'll give it 8/10.